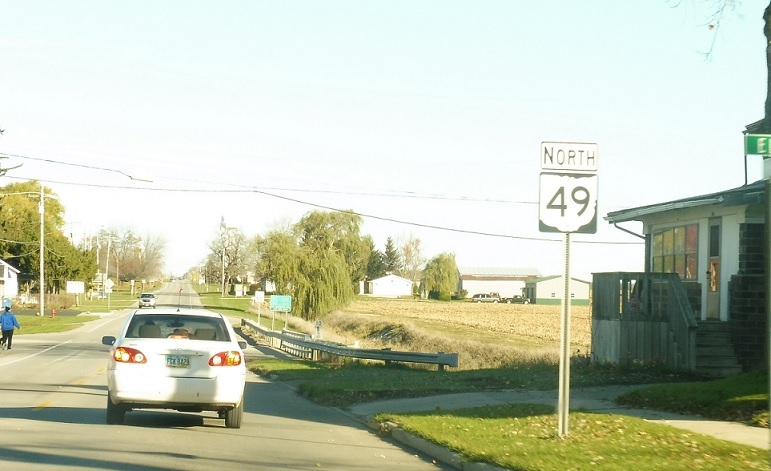 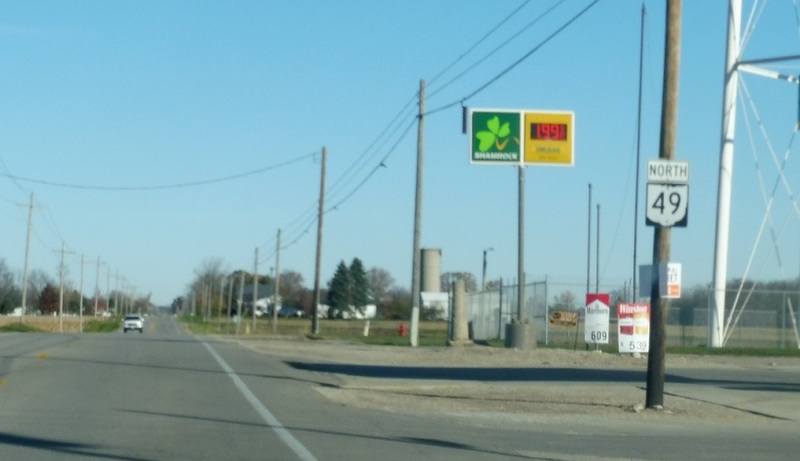 Reassurance shield after SR 34 as we head out of Edon. 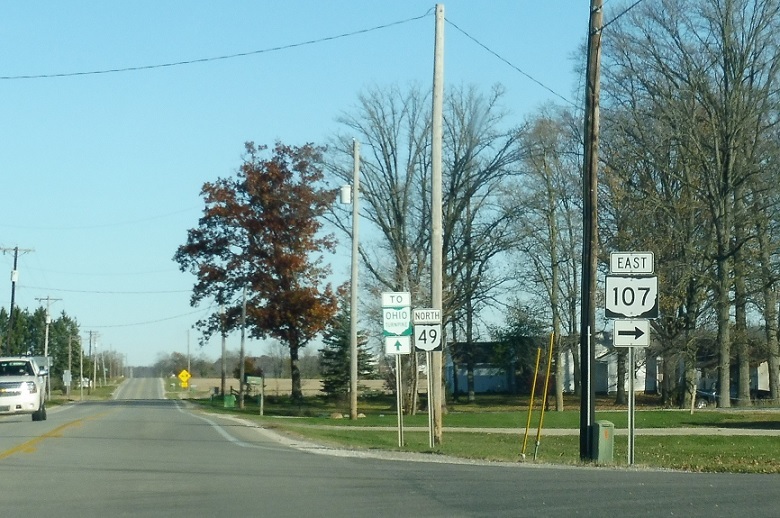 A couple miles later, we’ll approach SR 107. 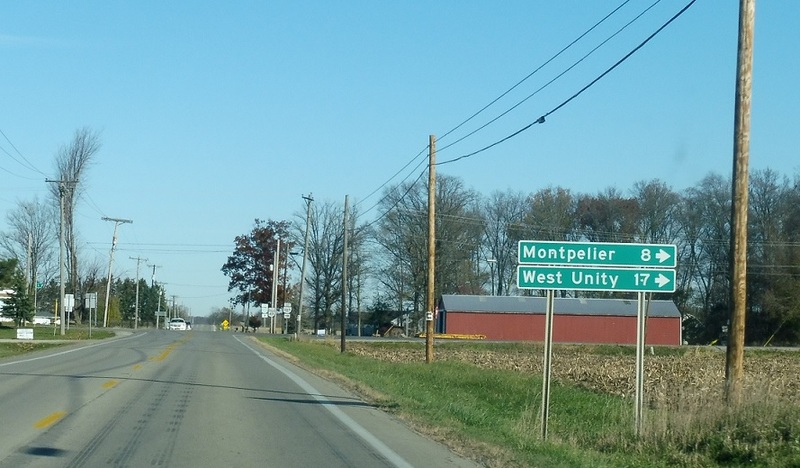 Follow 107 east to Montpelier and West Unity. 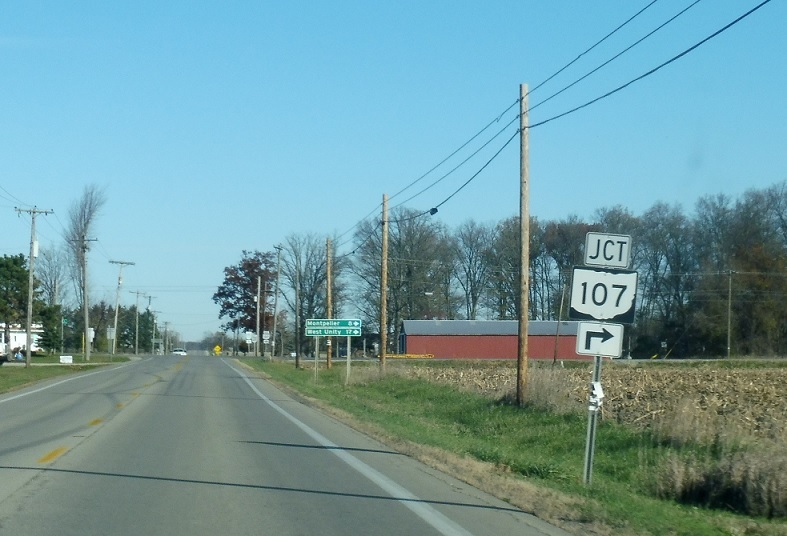 Turn right for SR 107 east.